Meningitis is an inflammatory process involving meninges. It is difficult to diagnose because of the absence of a diagnostic biomarker. 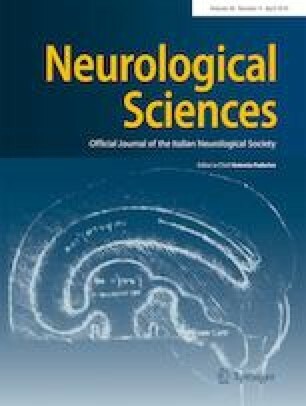 We first report here the possibility of cerebrospinal fluid (CSF) vitamin D-binding protein (VDBP) as a new biomarker for the diagnosis of meningitis. This prospective study enrolled a total of 102 subjects (58 patients with non-neurologic disease, 17 patients with meningitis, and 27 patients with other neurologic diseases) from 2017 to 2018. CSF and blood samples were collected in pairs. Total 25(OH)D in CSF and serum and VDBP levels in serum were measured. GC genotyping was also performed to determine polymorphisms of rs4588 and rs7041. CSF total 25(OH)D and VDBP levels were compared with serum total 25(OH)D and VDBP levels according to disease (meningitis vs. non-meningitis). Receiver operating characteristic (ROC) analysis for the diagnosis of meningitis using CSF VDBP level was performed. Mean CSF VDBP and serum VDBP levels of all patients were 1.48 ± 1.32 and 181.28 ± 56.90 μg/mL, respectively. CSF VDBP level in the meningitis disease group (3.20 ± 1.49 μg/mL) was significantly (P < 0.001) higher than that in other disease groups. According to ROC curve analysis, the appropriate cut-off value for CSF VDBP was 1.96 μg/mL, showing sensitivity of 82.4% and specificity of 85.9%. AUC of CSF VDBP was 0.879 (95% CI: 0.789–0.962). CSF VDBP level showed very good diagnostic performance. It could be used as a potential biomarker for the diagnosis of meningitis. This study was supported by the National Research Foundation of Korea (NRF) grant funded by the Korea government (MSIT) (2018R1C1B5040593). It was also supported by the Lee Jung Ja research grant of Gyeongsang National University Hospital (LJJ-GNUH-2018-001). The study protocol was approved by the Institutional Review Board of Gyeongsang National University Hospital (approval number: 2017-03-010). Written informed consent was obtained from all participants.